New research provides insights into the extinction of Britain’s largest native carnivore. The study – ‘The Presence of the brown bear in Holocene Britain: a review of the evidence’ published in Mammal Review – is the first of its kind to collate and evaluate the evidence for the brown bear in post-Ice Age Britain. Previous research has failed to establish when the brown bear became extinct, and whether or not remains that have been found are of wild native bears or of bears that have been imported from overseas. There is also little evidence to determine why the bear became extinct on British shores. 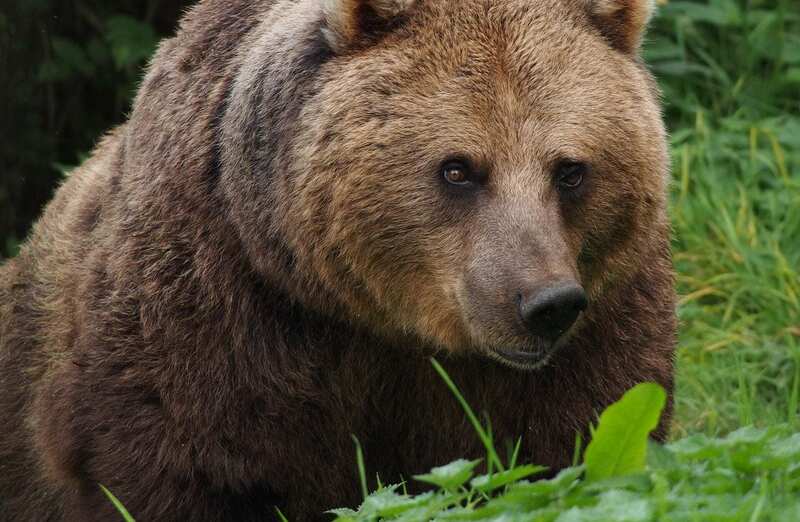 The author of the paper, Dr Hannah O’Regan from the Department of Classics and Archaeology at the University of Nottingham, says: “The brown bear was Britain’s largest carnivore, yet we know surprisingly little about its history, both as a wild animal and in its relation to humans. Dr O’Regan has examined the location of the sites where materials have previously been found, the dating evidence and the body parts present, to determine when the bear became extinct and where it was imported from other countries. “Previous extinction evidence is unclear and I would suggest two scenarios should be considered – that they became extinct in the late Neolithic or Bronze Age, or, in the early medieval period. “Most of the remains that have been discovered from the Iron Age and Anglo-Saxon (early medieval) periods relate to skins that were included in burials,” says Dr O’Regan. Interpretations of where animals were living can be affected by the use of data from archaeological sites where their remains may have come from several different sources. For example, determining when wild animals were present in the past is not straight forward, particularly when dealing with the brown bear where furs and live animals were moved and traded over huge distance and over long periods. The remains of bears in Britain range from full skeletons to isolated toes or claws, and the sites range from caves to human cremations. “At present the question of when and why the brown bear became extinct is impossible to answer, as there is still much that we don’t know about its distribution. There are 57 sites across Britain where clear dates have been determined, but there are an additional 25 that are thought to be Holocene, but have no further information. “There is also a gap in radiocarbon dates of some 4000 years from the Mesolithic to the Bronze Age. Some of this gap is filled with specimens from archaeological sites, but further research is needed to establish bear distribution in the past.